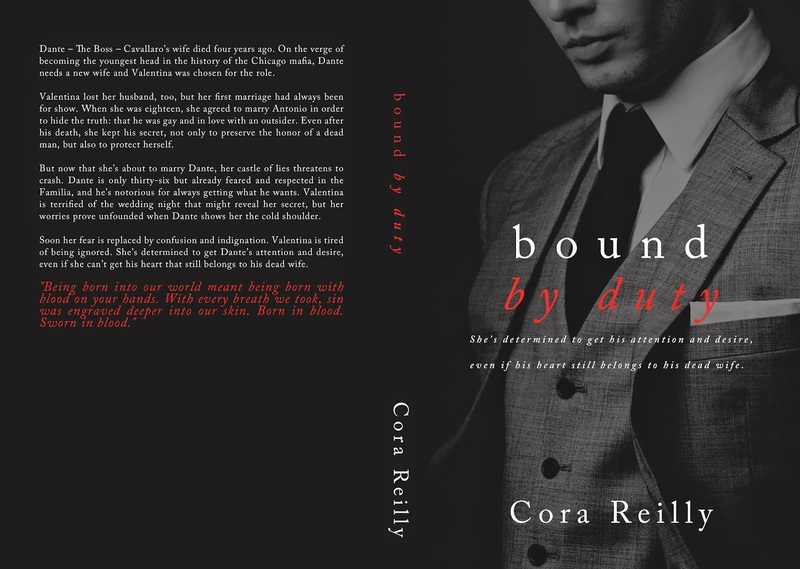 I finally revealed the cover of Bound By Duty, the second book in the Born in Blood Mafia Chronicles! Valentina lost her husband, too, but her first marriage had always been for show. When she was eighteen, she agreed to marry Antonio in order to hide the truth: that he was gay and in love with an outsider. Even after his death, she kept his secret, not only to preserve the honor of a dead man, but also to protect herself. But now that she’s about to marry Dante, her castle of lies threatens to crash. Dante is only thirty-six but already feared and respected in the Familia, and he’s notorious for always getting what he wants. Valentina is terrified the wedding night will reveal her secret, but her worries prove unfounded when Dante shows her the cold shoulder. Soon her fear is replaced by confusion and indignation. Valentina is tired of being ignored. She’s determined to get Dante’s attention and desire, even if she can’t get his heart that still belongs to his dead wife. You can pre-order it here! Amazon lists the pub date as March 14th, and that's the latest date it'll be out, but I'm really hoping to publish it Mid-February. Right now, it's looking really good, so I'm hopeful! I can't wait to share Valentina's and Dante's story with you! But you will also meet familiar faces again: Aria and Luca will make an appearance in the book! Love Dante & Val together! hello darling, I love all your books but I admit that Dante and Valentina's are my favorite. so I wanted to know if you're going to release a follow-up to them? Cover reveal: Bound By Hatred! Review Appreciation Contest: Get Luca's POV!